Marita`s kort : Lovely Ladies♥. Det er Torsdag og vi er klare med en ny utfordring hos MAWTT. Temaet denne uken er "Lovely Ladies". Jeg har laget et kort med motivet "Winter Godess". I have made a card with the lovely "Winter Godess". Hi, Marita! Sorry I've been away for awhile, had some family issues to tend to. Wanted to drop in to say hi! So nice image ! And love your color combo ! Ah Marita this is so pretty, I love the colours you have gone for, I hope that alls well and you enjoyed your colouring classes. 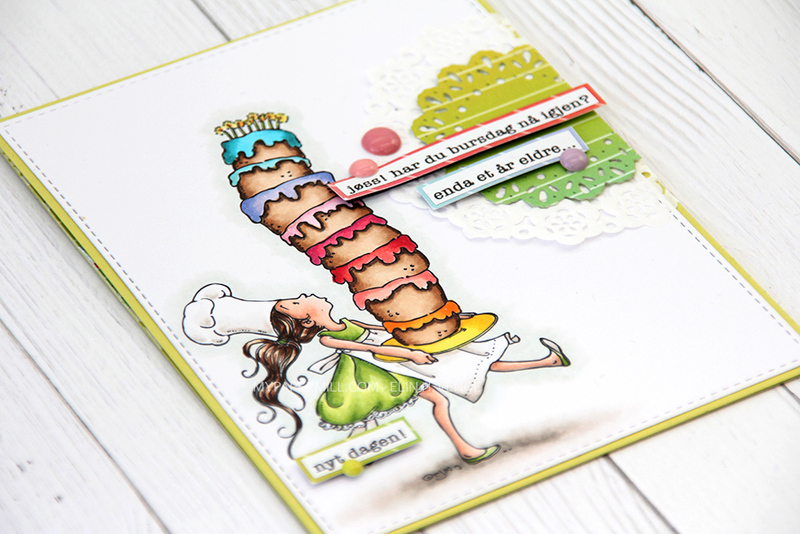 Super pretty card Marita - fabulous colours. Gorgeous card Marita!! I love these colors and all of your fabulous sparkle! ooh this is gorgeous .. i love those colours .. and i would love a coat like that! Gorgeous card Marita, the green & gold works really well. Beautiful card, great choice of image and I love the vine border. Hi Marita, your card is just lovely - great colour choices.